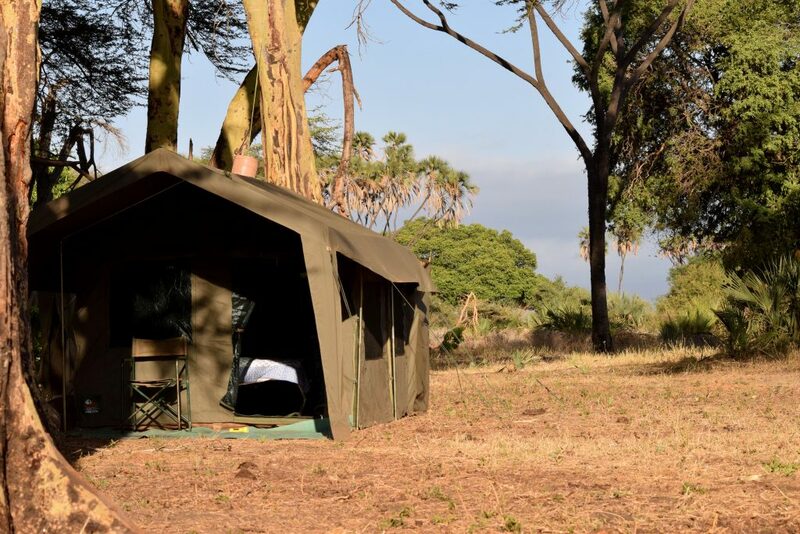 Meru Wilderness is a mobile camp set up in Kenya’s prettiest national park, a five hour drive from Laikipia Wilderness. The two areas combine perfectly, as they are so very different but both real wilderness. Back in the old days, going on safari was a journey (safari means journey in Swahili) and there were no lodges or permanent camps. Everything was carried into the bush. 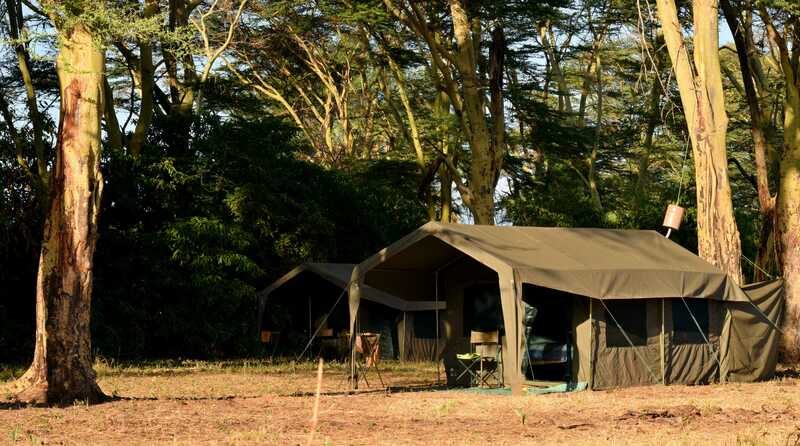 This is what Meru Wilderness is, a small camp for small groups set up just for your safari. Simplicity is the essence and if you love wilderness, and want to feel close to it, this is the best way to do it. #02. En suite toilet set over a hole in the ground (this is known as a short drop loo). #03. Bucket shower in a tent near your tent. When you would like a shower, water is heated in a metal drum on an open fire and poured into the bucket which is then raised using a rope. In the tent you go and enjoy an open air, hot water shower. All our food is freshly cooked in the kitchen which is set up under the shade of a glade of trees. Delicious pizzas, quiches, home-made bread, and lots of healthy salads are produced daily as well as unhealthy treats such as chocolate fondant, sticky toffee pudding and lemon heaven. Early morning starts at 5.45 are best to catch the sun rise and be out on a game drive whilst the animals are most active first thing in the morning. After tea and coffee, fruit and cereal we try and get moving by around 6.30. Breakfast is cooked out in the bush over a small gas stove. 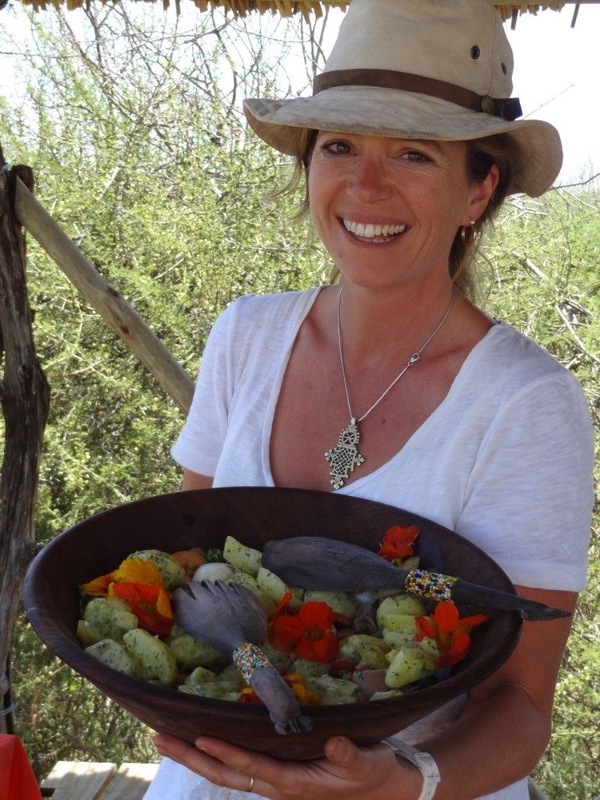 Your guide will knock up fried eggs, avocado, bacon and sausage, with toast whilst out on safari, somewhere beautiful when you are starting to get hungry. 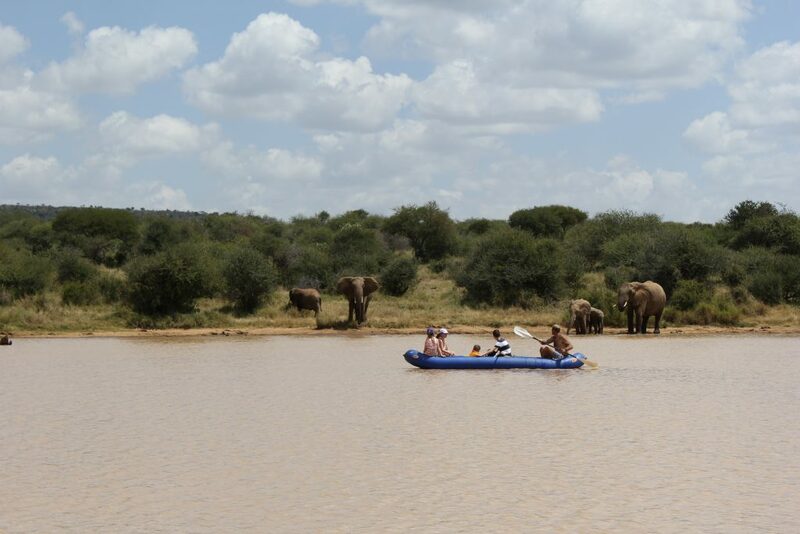 You might be next to a river, or overlooking a herd of giraffes or buffalo. 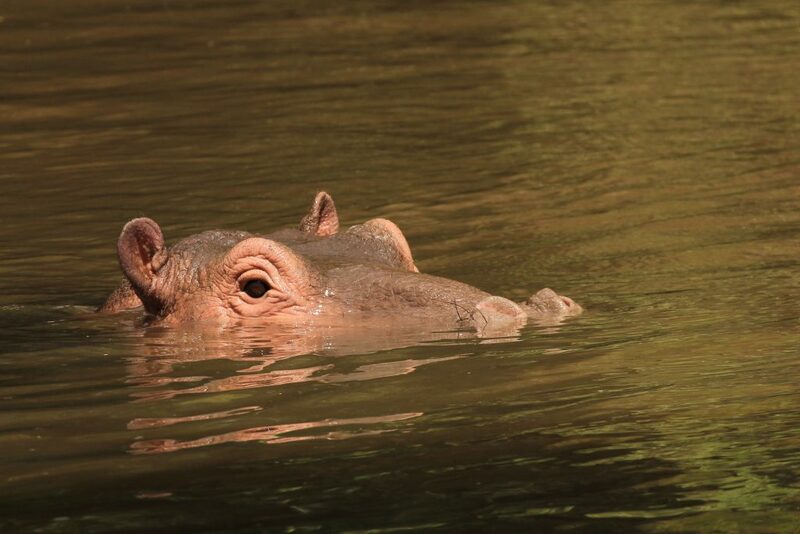 Returning to the camp for lunch, you can take a paddle in a croc-free pool in the river, a pool is created by making a dam in a shallow croc free section of the river allowing for cool dips or a beer in the shade of a palm tree. A siesta in your tent, or in a hammock is popular before heading out after tea on a game drive in the afternoon. Night drives are not permitted inside the national park so we return to camp at around 7 pm for drinks around the fire, and dinner under the stars. There are lots of night time noises, bush babies, lions calling, cicadas, reed frogs and owls. 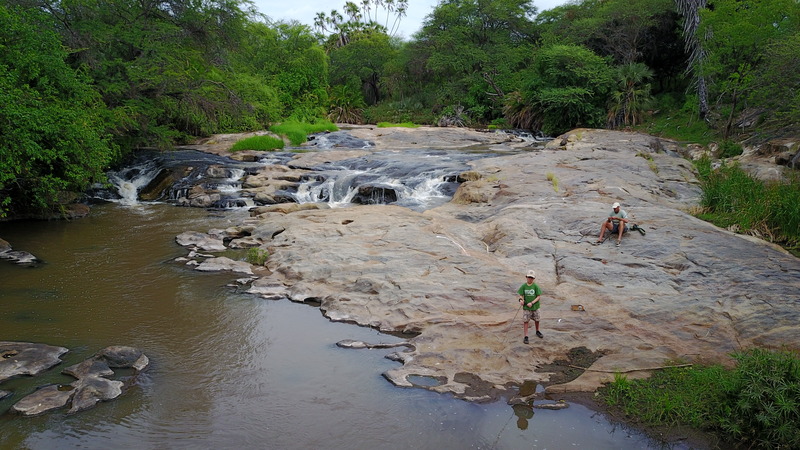 Meru is tropical and full of rivers and palm trees, glades of magnificent fig trees, mahogany trees and many more. 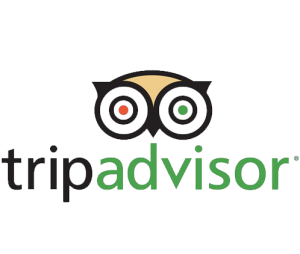 The vegetation can be thick meaning you have to work to see wildlife a bit, but the park is full of lions, giraffes, buffalo, elephant, lesser kudu, gerenuk, hippos, crocodiles, cheetah and leopard. Inside a rhino sanctuary are ?? white and black rhino. 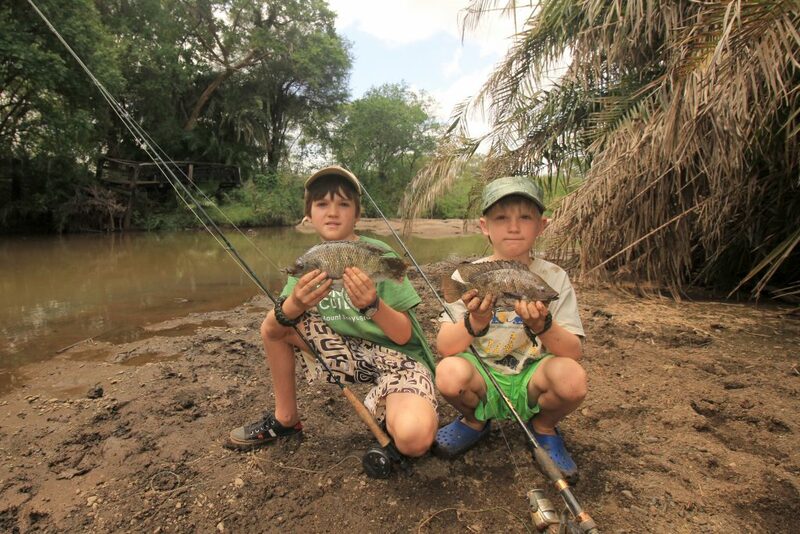 Fishing in the clear rivers of Meru usually produces enough tilapia for dinner one night, and you can fish with a fly here as the water is clear enough. We provide spinning rods and worms. Birdlife in Meru is exceptional and our guides are highly trained ornithologists, binoculars and bird books are carried in the vehicle but do bring your own binoculars. Meru is full of water birds, birds of prey, woodland birds and many unusual birds not found in other typical safari areas of Kenya. A typical stay in Meru is 3 -4 nights and combines beautifully with Laikipia Wilderness. You can choose which order you would like to combine the camps. For some ending a safari in the tranquility of a very small mobile camp so close to nature is a fitting end to a journey in the wilderness. Either way both camps complement each other and we have special offers for a Wilderness Week which is 4 nights Laikipia, 3 nights Meru.